Below you will find a selection of monogrammed stationery that can be personalized with our free monogram maker. Turn plain white paper into a monogram stationery set that will cost you a fraction of the cost. Create the stationery online and print at home on your own printer. You can also create monogrammed stationery for others if you like making DIY gifts. Tie up the stationery, envelopes or notecards with a pretty ribbon or put into a box.  A selection of free printable note cards with your monogram. Various styles available. Print on standard sized note cards or on card stock. If you print on cardstock you can cut with scissors or paper cutter. You can determine the note card size via your printer’s settings. The resolution is high enough to enable you to create custom note cards in any size. To create folded note cards, print on the bottom half of the page and fold in the middle. You can add additional text to the note card. For example, write “thank you” to create monogrammed thank you cards. To create coordinating customized envelopes, print the monogram on the envelope as well. A selection of free printable binder covers with your monogram. There are many designs available. They can be personalized online with our free monogram generator. These vintage note cards are printed on vintage postcards and can be personalized before you print them. All you need is plain white cardstock to create them. A selection of writing paper that you can customize. You can select the frame, background design, the color of the lines if you want lines and you can add any text. This makes a great DIY gift. 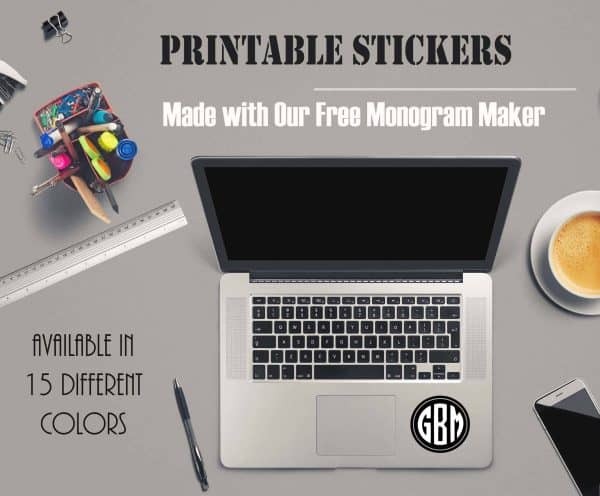 A selection of monogram stickers in various designs that can be printed on sticker paper and used for various purposes. You can also print on regular paper and apply with paper glue or Mod Podge. Use a round punch to cut round monogram stickers in a perfect circle. They are very cheap and come in a number of different sizes. The result will be a lot more professional than cutting a round sticker with scissors. Use these stickers to create personalized office supplies. For example, adhere to a notebook, paper punch, stapler, printer, etc. Personalize your gifts with your own monogrammed printable gift wrap. You can print this wrapping paper on regular paper (for small gifts) or large paper. You can print on large sheets of paper at your local printer. 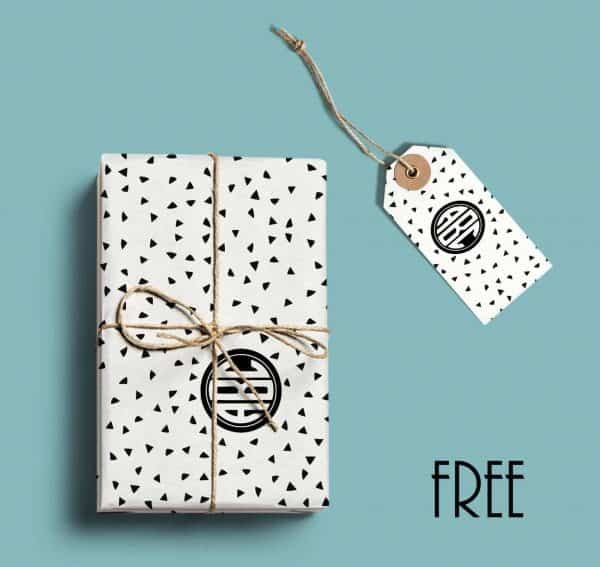 The wrapping paper is available in various colors but if cost is a factor then the black and white option will probably be the cheapest to print. We offer a selection of gift tag templates that you can customize online and print on cardstock. I like to write notes on my mouse pad and I replace it each week. It enables me to highlight my to do list and ensure that I don’t forget to get my weekly tasks done. You can print a new mouse pad each time you need one. 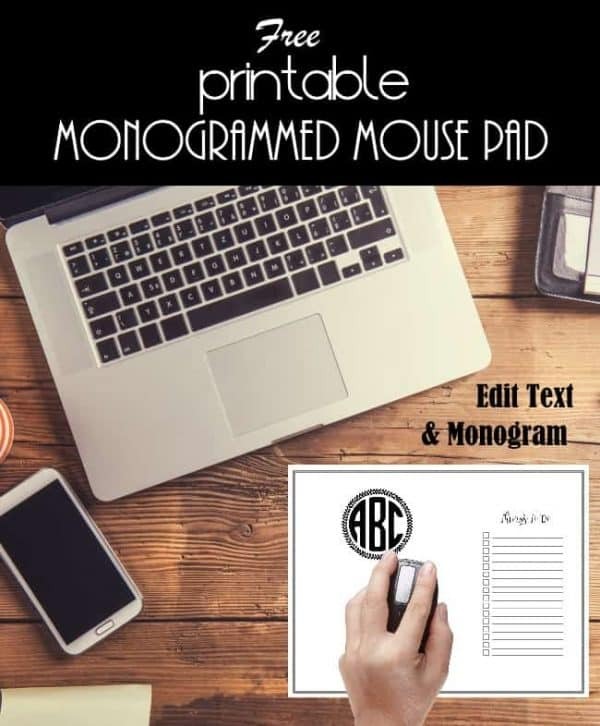 There are 120 different frames available so you can print many different monogram mouse pads. Click here to customize your mouse pad. Select a monogram template from any of the available templates on this site. It does not have to be from this page. You can use any monogram to create pretty stationery. Customize it with your name and/or initials. Print on regular plain white paper or better quality textured paper.  To create free printable lined stationery print on lined paper. Insert the lined paper into your printer and use it as you would use plain paper. If you want to use regular size paper but create smaller stationery then print two pages per sheet. Cut in the middle to create two sheets from one page. If possible, use a paper cutter to cut a straight line. Half letter is a great size for stationery. To make your own stationery for men, select a masculine monogram design.